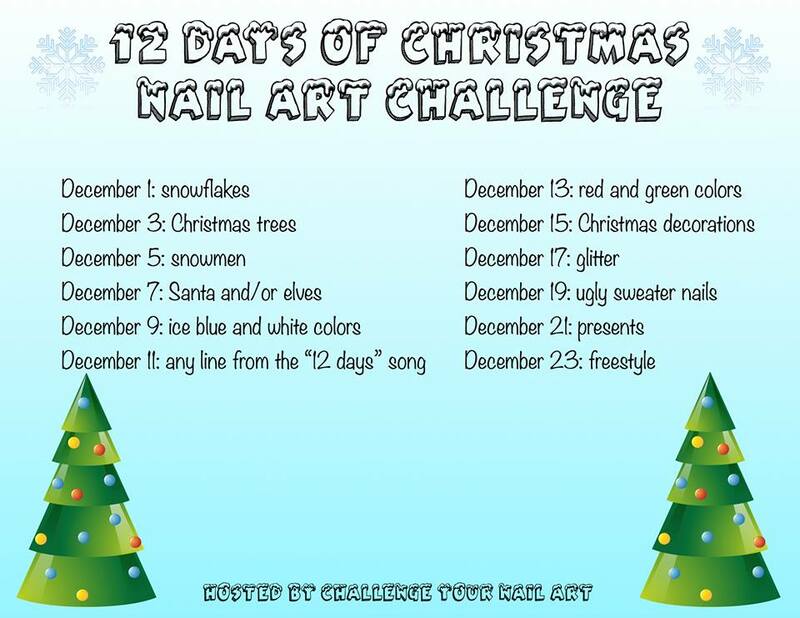 Today I have another post in the Challenge Your Nail Art 12 Days of Christmas challenge. Today’s theme is Christmas decorations. During this year’s 31 Day Challenge, I did these half moon nails which were inspired by this look by Lucy’s Stash. 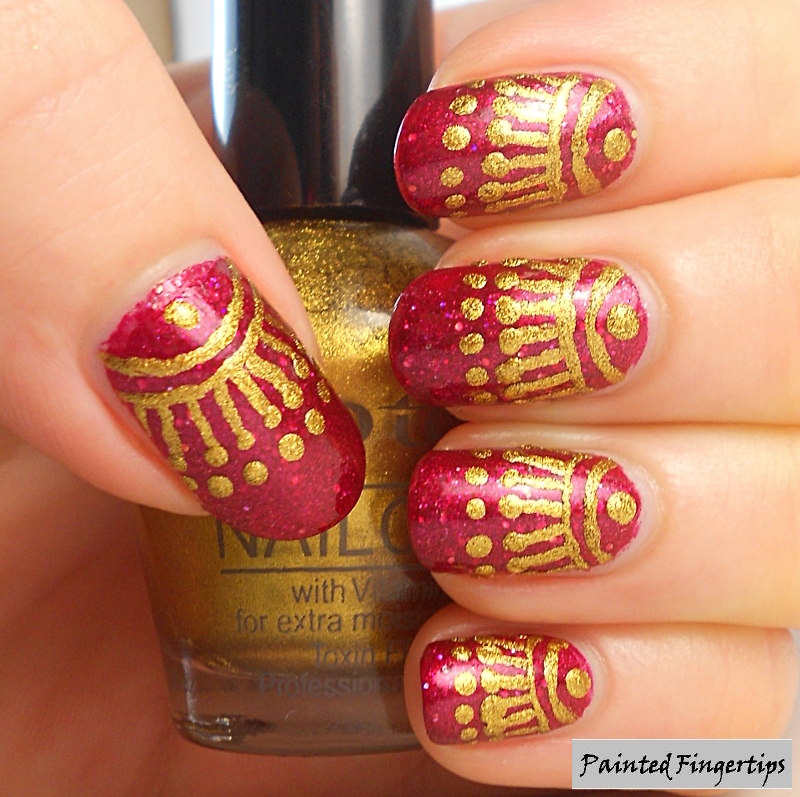 Someone pointed out that it looked quite Christmassy so I decided to do a modified red and gold version. Once it was done, it really reminded me of the patterns on some Christmas baubles, so I decided to use it for today’s theme. I used a base of Renaissance Cosmetics Rosie-Osie and added the gold using Tip Top Gold Digger. 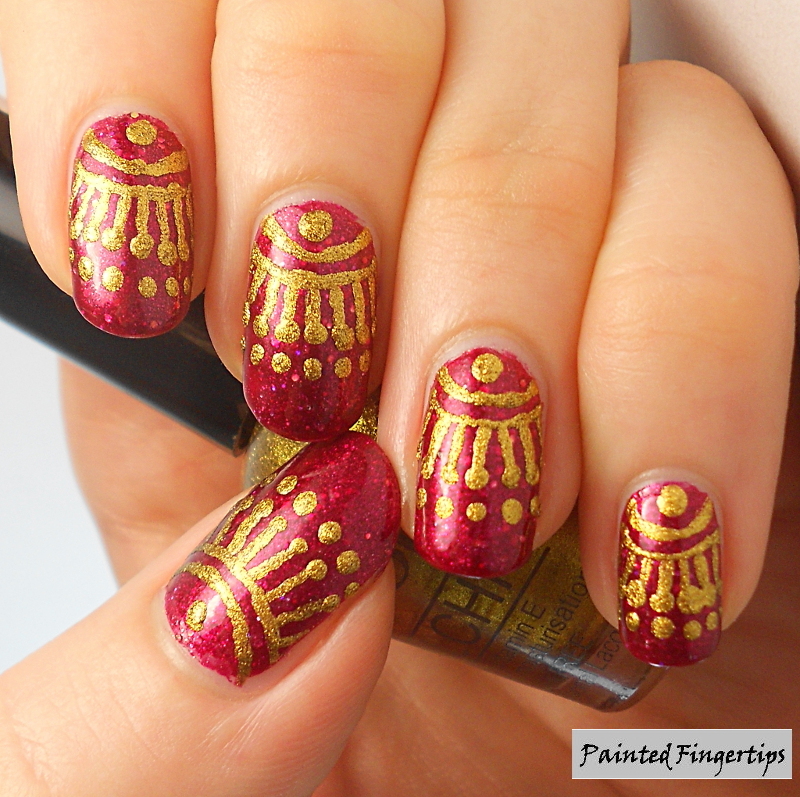 I used a small nail art brush and dotting tool to paint on the gold. I’m not sure if I prefer this or my previous version, but I like both of them a lot! 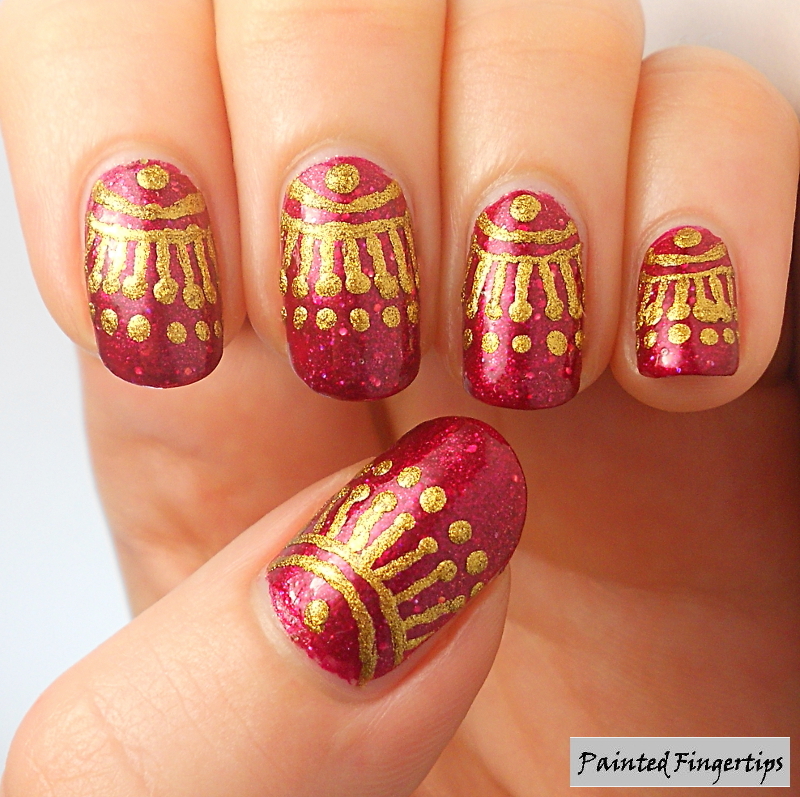 This is so pretty and festive! Haha, so it’s definitely Christmassy then 🙂 Thanks! I definitely prefer this version. Cute! I like the design! This is so pretty. I like the big impact it makes. Nice! Looks like Christmas ornaments! That was the idea 😀 Thank you! These are just beautiful! Great job! You did a beautiful job on this! !